Aluminium ball head with a 8 kg load capacity. Quick release plate system for quicker and easier attachment and removal of your camera to the head. Comes with a 200PL-14 plate with standard 1/4 inch screw. Weighs 610 grams. Bottom attachment is 3/8 inch female thread. Working height of 12.5cm. Replaces the 488RC2 Midi ball head. - Repositionable locking lever for most comfortable use. - New friction control for better control. - Quick release system features a new style secondary lock. 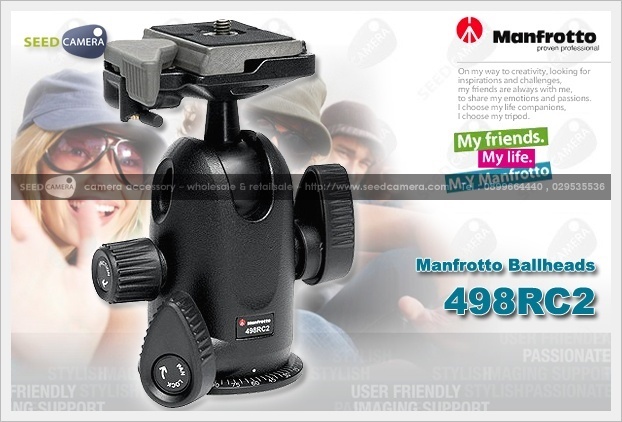 ท่านประหยัดได้: 0.00% Manfrotto 200PL-14 Rectangular Plate 1/4"